Professional review of Celluprov Cellulite Firming Complex. See how it compares against other cellulite creams. We really like Celluprov as a treatment to help reduce the appearance of cellulite. The lightweight formula goes on extremely easily and blends quickly. 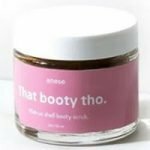 It’s one of the faster-drying cellulite creams on the market and smells really good. As for performance, it makes the skin feel very smooth in the short-term, and creates a nice, healthy environment for the skin in the long term. The only real downside of Celluprov is its extremely hefty price tag. But overall, Celluprov will prove a nice addition to any cellulite-fighting regimen! Celluprov is a light lotion that’s white in color. In contrast to many cellulite creams that are very thick, this one is relatively “thin”. It feels sleek and smooth to the touch. Applying Celluprov is extremely easy. Because it’s so light, it goes on really easily and blends quickly. This cellulite cream dries extremely fast. In fact, I’d say it dries in under 2 minutes. If you’re one of those people who hates, wet and sticky-feeling lotions, this one is definitely NOT that! Celluprov smells really good in the bottle. It has a light, almost berry smelling fragrance to it that we really enjoy. After a few hours, this one maintains its pleasant smell. It obviously gets fainter and fainter with time, but it seems to react very well with the skin. Short term, Celluprov really softens the skin and makes it feel smooth. It obviously doesnlt get rid of cellulite immediately, but it does what it’s supposed to ion the short term. Make the skin feel moisturized and smooth while creating a healthy environment for the skin. Longer term our cellulite did seem to be lessened a bit after using this lotion (or at least the appearance did). We really liked the way this one made our skin look and feel– especially after a few weeks! Celluprov uses the “Provislim” ingredient stack of Fisetin and Frambione. Fisetin is a flavonoid derived from strawberries while Frambione is another name for raspberry ketone. When used together, both have been shown in studies to help minimize the appearance of cellulite. Also of note, Celluprov contains 31 ingredients, which is a good number in our opinion. Some companies throw 50-60 ingredient sin their cellulite creams hoping one or two “stick”. We prefer the more concentrated formulas that work off just a few, proven ingredients. One bottle of Celluprov costs $69,95. That works out to $17.48 per ounce, which is extremely expensive. Celluprov offers a 90 day unconditional guarantee that’s good for both used and unused bottles. This is the type of guarantee we like to see– no games and very simple! To buy Celluprov, click here.